We’re Christmas light installers equipped with all the professional tools required to properly and safely install your lights to get your home sparkling beautifully. All of our lights are checked prior to us installing them, providing you the assurance of a job well done. 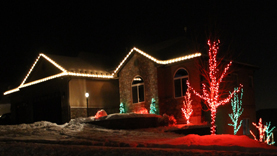 We include newly installed bulbs, timers, custom cut & fitted strips, and clips. 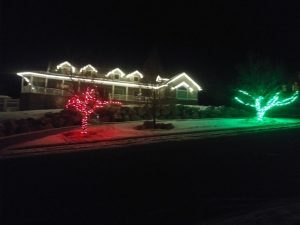 If you would like to liven up your home for the Christmas Season let us help you by installing custom Christmas Lights on your home. 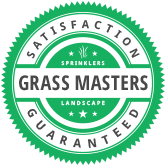 We service Cache Valley and surrounding areas.